As we go about our life, we seldom think about the words we say or the actions we take. We blindly react to whatever is happening without a thought about the consequences. Someone does something at work we don’t like, so we lash out at them. Someone makes a mistake, so we automatically berate them. We go on auto-pilot saying and doing whatever pops into our heads at the moment and do not think of the effect our words and deeds have. We hardly take time to think about the other person and why they may have done or said what they did. We harbor resentments against them for hours, days, weeks, months, and sometimes years. At work, consider how many times people think angry thoughts towards others. Thoughts are potent and carry vibration. Consider how many times we say something hurtful to someone else. That too carries vibration. It is said that even more painful than a physical pain is the pain inflicted by verbal abuse or anger. That hurts the heart of the victim and takes longer to get over than a physical bruise. It is remarkable that many go through life without considering their words or their actions. All through life, people say and do things that hurt others and never consider the consequences. We think we can have a bad temper and say things to hurt others, but we cannot get away with anything. If we are mean and bad-tempered to others, or if we hurt others, most likely they will react so we become the object of their anger. We cannot control the actions that others create for themselves. However, we can control our own reactions to others. At work, when faced with people arguing or fighting with us, we can choose to retaliate and hurt them back, or we can forgive them. Instead of holding a grudge and increasing our load of bad thoughts, words, and deeds of retaliation, we can forgive them. In this way, we can remain calm in the face of other people’s negative words and actions. When we forgive, we also help ourselves physically and mentally. Life brings many disappointments and challenges. It’s easy to fall victim not only to others who may hurt or mistreat us, but also to our own anger. When we grow angry when someone hurts us we suffer twofold. First, we have to bear the pain that others may cause us. Second, we must bear the pain and suffering that comes with acting on our own anger. At work, the anger we feel not only upsets us emotionally but has a deleterious effect on our physical body. It causes stress, which in turn contributes to stress-related ailments. This can affect us by increasing our risk for heart disease, cancer, stroke, high blood pressure, and other diseases. It takes a great amount of strength to withstand the temptations to overcome anger. We may think the angry person is strong, but actually they are succumbing out of weakness to their own temper. It takes one who is brave of heart to say no to anger. Anytime we think about being angry and vengeful against those who may have hurt us in thought, word, or deed, we can stop and consider the lesson of forgiveness to stay calm. Let’s trace what happens to us when we don’t forgive our boss, our co-workers, or our subordinates. Each of our personal stories generally begins with something that happens to us on our job that we don’t like. Some person has wronged us in some way. Maybe someone has said something to hurt our feelings or hurt us physically. Someone might have taken something from us. Maybe someone has cheated, deceived, or lied to us. Someone we trusted might have broken that trust. Power, position, or wealth might have been taken from us. There is always a root cause of a problem between two people. We can safely assume that all of us go through life with some incident happening that we do not like or that hurts us. So, what happens next? We become upset, hurt, annoyed, and angry. We think about what happened. We don’t like it and we can’t seem to forget it, thinking about it again and again. We may even talk about it repeatedly either to the person who hurt us or to others. Some people who have less control over themselves may thrash out physically to the person or take out their anger on someone else. As the incident escalates at work, we find our thoughts and words occupied with how to rectify the situation. Some people will try to solve the problem peacefully by talking it over with the person who they felt had wronged them. Sometimes we try that, but the other person is not willing to listen to change. Then, we feel we must do something more drastic. This leads to retaliation or revenge. We begin to think about ways to get back at the person who hurt us, or we think about ways to get even with them. We want to see justice done. Our mind refuses to forget what has happened until we retaliate. Thus, from that one incident, we end up creating more scenarios and situations in response. The other person then may get back at us for retaliating. A cycle of action and reaction may go on and on, escalating a small situation into a major problem. What has happened in the process? We have lost our peace of mind. The initial incident may have lasted a few moments, or a few hours, or a day, but we have now spent hundreds of hours and countless days replaying what happened and thinking about how to get even. In the process, the precious moments of our life have been wasted. Instead of keeping our attention on what can help us, we have wasted the time in replaying a bad movie. Thus, we lose more than the person does to whom we are directing our anger. A life spent in not forgiving is like living a life in which we have a CD or DVD recording that plays the same bad scene over and over. How many of us want to see a bad movie twice, or hear a song we don’t like played again and again? How many of us want to eat the same food we don’t like again? We usually say, “This tastes terrible.” This is what happens when we repeat in our minds all the wrongs done to us. Many of us do not only replay what has happened, but we also try to rewrite a new ending in which we come out redeemed for being wronged and the other person comes out punished. We cannot undo what the other person has done. We can say, “The suffering has happened, and let it end here and call it quits.” Or, we can take revenge and say, “I need to hurt the other person, so I am prepared to risk the reaction coming back on myself.” Do we wish to add to our own pain by retaliating and refusing to forgive? It is like running our clothes in the washing machine to get out the grime, but instead of pouring in soap suds or detergent, we are pouring in more dirt. How will the clothes ever become clean? If someone at work has hurt us, we can choose to forgive and forget, or we can choose to retaliate. The choice is ours to make. We do physical harm to ourselves when we are caught up in the opposite of forgiveness: anger, hatred, and vengeance. These feelings cause damage to the body. Doctors and medical researchers are realizing that anger and hatred have detrimental effects. Let us analyze the reason. First, there are certain responses in the physical body designed to help protect itself in order to preserve the species. When a living creature senses danger, there are certain hormonal and chemical reactions within the body that help it respond to danger. These hormones cause one to fight or take flight. They are useful for giving the body strength and quick physical responses, such as running or protecting one’s self. But if we interpret daily problems as life-threatening when they are not a threat to survival, then we are responding with the fight or flight hormones for no reason. The result is that we do not see a need to flee or fight, but we feel threatened. This converts into anger or rage. We become angry over situations that don’t threaten our life. This causes the body to circulate hormones needed to run or protect one’s self over minor situations that are part of daily life. Because these hormones, such as cortisol, are circulating through us when we do not need them to, they end up causing damage. We know, for example, that cortisone has side effects on the body, so doctors recommend using it cautiously. However, the body’s natural cortisol, when we are angry or under stress, ends up circulating through us, causing stress-related ailments. If one is continually in that state of fear, anger, or stress, those hormones cause a breakdown of other body tissues. This is what causes stress-related ailments such as digestive problems, headaches, heart problems, skin problems, and breathing problems. There are so many challenges of daily life that people are responding to with the same release of fight or flight hormones as if threatened by true danger. People may become upset if someone cuts in front of them on the road while driving to work. They lose their temper if someone at work makes a small mistake. Our reactions are out of proportion to the errors that others make. Years ago, we may not have known the physical dangers that anger and stress caused our body. However, now that we are aware of it, we can consider whether it is worth getting angry over trivial work situations if it means we increase our risk of a heart attack, breathing problems, and digestive problems. 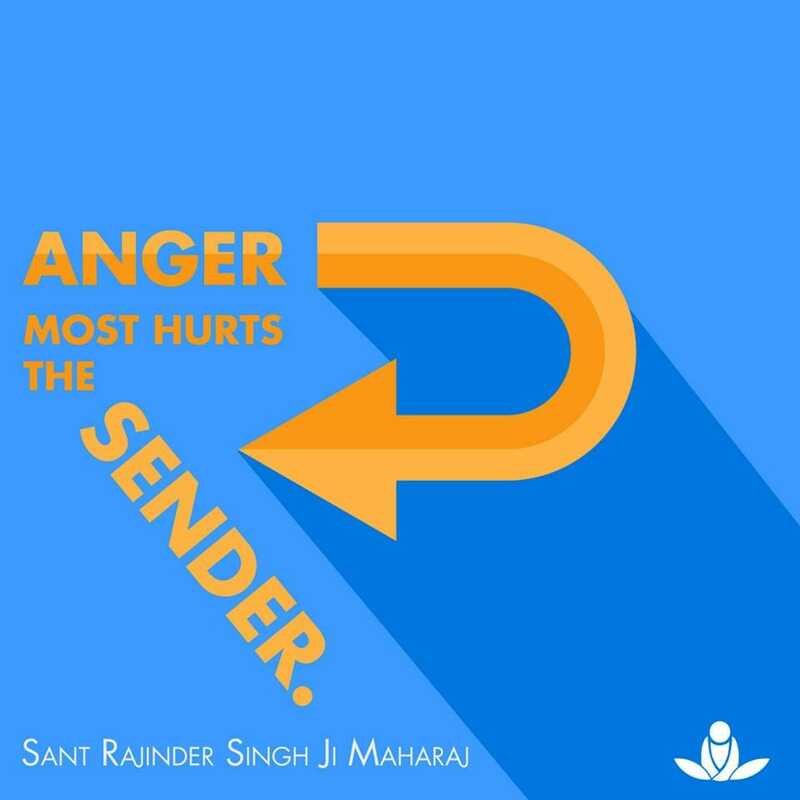 The relation between anger and our body is becoming clearer day by day. The solution for protecting the body against the hormones released by hatred, anger, and vengeance is simple: forgiveness. It is only through forgiveness that we can calm ourselves down and avoid the reactions of hatred and violence. A majority of the time at our jobs we are responding to minor problems with the same intensity as if our lives were threatened. Think about all the things that make us angry. How many of them threaten our lives? How many are just minor annoyances? We can learn how to stay calm at work through practicing forgiveness when someone hurts us. In this way, we can protect our body from the damage of hormones released because of anger. We will see a reduction in stress-related ailments. What are the keys to developing forgiveness? One of the keys is to let go. When we forgive and forget we are letting go of the past and what has happened. We are saying, “I forgive the person for what has happened. Then I am going to forget about it.” In this way, we are letting it go. One technique to develop forgiveness so we can stay calm at work is meditation. The problems of life will not end. However, through meditation we can focus our attention on the peace within so we can rise above life’s difficulties. Through meditation we are in touch with a place of calm within us that gives us the strength to forgive others, overcome anger, and stay calm at work. We cannot control others at our job, but we can control ourselves. At work, we can choose peace and calm which will help improve our physical and mental health, and make for a happier life.